Before the Maya the Olmecs reigned in Mexico and Central America and possessed a complex society with impressive art and commerce. 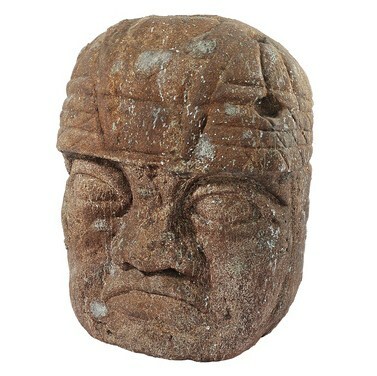 Our colossal-size, Olmec sculpture replicates those discovered near La Venta Mexico in 1939. In both texture and incredible colors, this masterpiece is cast in quality designer resin and faithfully captures the human faces with jaguar mouths of the original. This large-scale, Design Gondwanaland display-quality sculpture transforms any home, garden, restaurant or hotel into something truly magnificent!